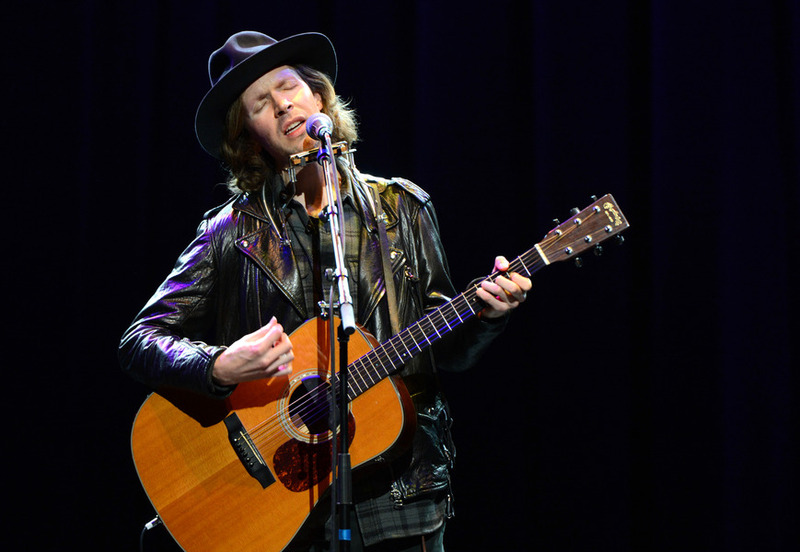 Beck is available for exclusive private events, as well as public concerts. To inquire about pricing and availability of Beck, or to book Beck for your event, Contact Jay Siegan Presents here. Beck, is an American singer, songwriter, rapper, record producer, and multi-instrumentalist. He is mostly known for his musical composition, as well as a palette of sonic genres. He rose to fame in the early 1990s with his sonically experimental and lo-fi style, and became known for creating musical collages of wide genre styles. Today, Beck musically encompasses folk, funk, soul, hip hop, electronic, alternative rock, country, and psychedelia. He has released 13 studio albums (3 of which were independently released), as well as several non-album singles and a book of sheet music. With a pop art collage of musical styles, oblique and ironic lyrics, and postmodern arrangements incorporating samples, drum machines, live instrumentation and sound effects, Beck has been hailed by critics and the public throughout his musical career as being among the most idiosyncratically creative musicians of 1990s and 2000s alternative rock.